Once you have uploaded your video or document to Google Drive, please check with your teacher to make sure the link has been changed to "Anyone with the link can VIEW". You are now ready to create your own QR Code. 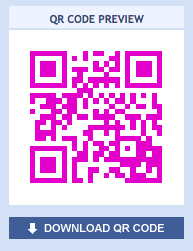 STEP THREE: Once the link is pasted, choose your QR Code Color. 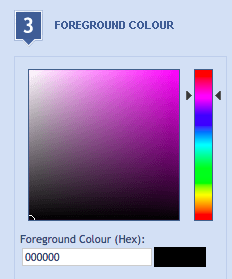 Select the color by tapping on the color square. STEP FOUR: When you choose a color, you should see the QR code to the right adjust. This is now YOUR code. Select "Download QR CODE". Crop the photo so that only the QR code is showing. STEP SIX: Open a new Google Slides Presentation, name it "Parent QR Code". Insert the image onto the first slide. Now, you can write a note, change the size of the QR code, etc. ​Step 7: Get it approved before printing!